Does Gateway 3ds support 3DS 11.3 Emunand? As Nintendo 3DS 11.3 has been released for several days, we are waiting the news from gateway team to confirm when the gateway 3ds supports 3DS 11.3 Emunand. Two days ago, gateway team announced that the new gateway firmware for 3DS 11.3 Emunand will be released by a couple of weeks max. As they are working hard for a new update for Gateway. Please do not update your Emunand until the gateway team confirms that gateway 3ds can support 3DS 11.3 Emunand. How to use Gateway 3DS to play Pokemon Sun and Moon? Pokemon Sun and Moon has been released for several days. The new Pokemon games are really popular. 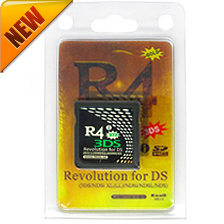 Which 3ds flashcard can support Pokemon Sun and Moon directly. However, sky3ds+ users can not play Pokemon Sun and Moon on sky3ds+ as Nintendo team has added one new AP check to this game. Sky3ds+ can not circumvent it currently. Many sky3ds+ users are worried about the issue. 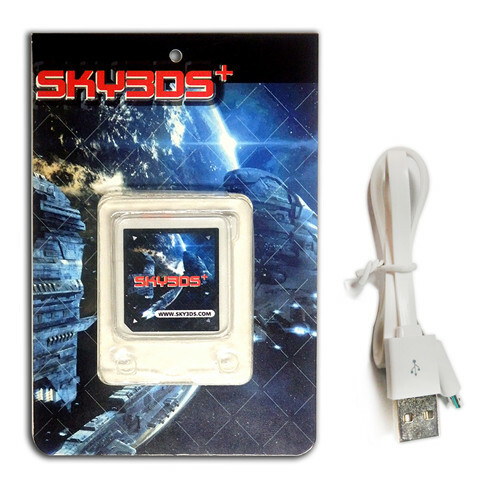 Please do not worry about it, and sky3ds team will release a new firmware to circumvent the new AP checks. Once the new firmware is updated, you can download it on sky3ds official team which allows you to play Pokemon Sun and Moon directly with sky3ds+ on 3DS. So how about gateway 3ds? Can we use gateway 3ds to play Pokemon Sun and Moon? The answer is Yes. In this post, we will tell you how to use your gateway 3ds to play Pokemon Sun and Moon? 4. Drop the ROM on the card1to2.exe program, press 1 and press enter and press enter again to close the command window. 5. Download Gateway_ROM_Patcher_v1.2.zip and extract it. Open Gateway ROM Patcher 1.2, make sure .3dz is checked and load your Pokemon ROM into it. Make sure that ‘Rename ROM extension to “.3dz” after modification is ticked too. press “Import Header from File”, find and select your private header. “This Chip ID seems not adapted to your ROM size. Can I suggest a better value?” SELECT NO. “This Chip ID seems not adapted to your ROM Media Type. Can I suggest a better value?” SELECT NO. “This Chip ID seems not adapted to your ROM size. Can I suggest a better value?” SELECT YES. “This Chip ID seems not adapted to your ROM Media Type. Can I suggest a better value?” SELECT YES. Source and more details: [Tutorial] Pokemon Sun and Moon on Gateway. After gateway 4.0B Private Beta released, there are many feedback sent to gateway official team. Gateway team has been hard- working in deal with the feedback and reports. There is a new private beta -Gateway 3DS 4.1B release which will fix some issue about Gateway Time Machine and improve stability of GATEWAY FASTBOOT(A9LH) feature. In the past, all gateway users are able to get into the Gateway menu by holding down the [L] button during boot. But now, users need to hold down L+select to access to Gateway menu while GATEWAY FASTBOOT(A9LH) has been installed on 3DS. If you do not want to use GATEWAY FASTBOOT(A9LH) , you can still hold down L button to go to gateway menu. In the end, the official team says that there will be something exciting in the next update.I believe all gateway 3ds users wonder what is new in the next update. Gateway 4.0B private beta released, how to setup A9LH on your O3DS/N3DS? Gateway 4.0B beta folder: “Console SD” folder and “Red Card uSD” folder. Step 2, Make sure you have WiFi configured and working. “Console SD” folder and launcher.dat to the root directory of your consoles SD card. version; O3DS in Jap-tm_o3ds_jap.bin. 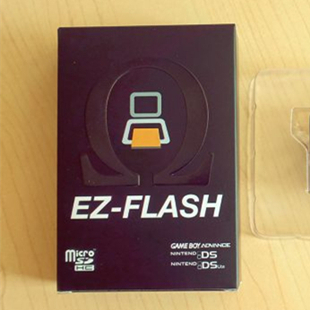 Copy this file to your consoles SD card. How to setup A9LH on O3DS/O3DSLL/O3DSXL? A9LH. Please do not power, or your console will brick. Reboot your console and enjoy GATEWAY A9LH on your N3DS! How to setup A9LH on NEW3DS/N3DSLL/N3DSXL? correctly. Press select button, the GATEWAY Time Machine menu will show. 2. Press the icon and then select”[downgrade] 2.1.0J” and turn off console when done. Then turn on your N3DS console. 7. Reboot your console and enjoy GATEWAY A9LH on your N3DS! A: We’re working on a solution for this.